These presentation slides 31423 are complete compatible with Google Slides. Simple download PPTX and open the template in Google Slides. 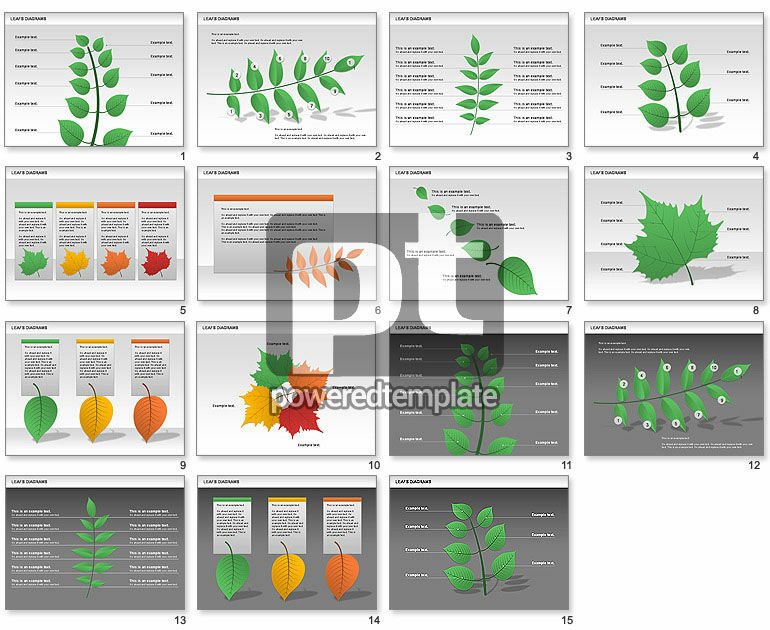 Leafs Diagram Set will be perfect to visualize some process in presentations on ecology, ecological research and study, business seasons, etc.